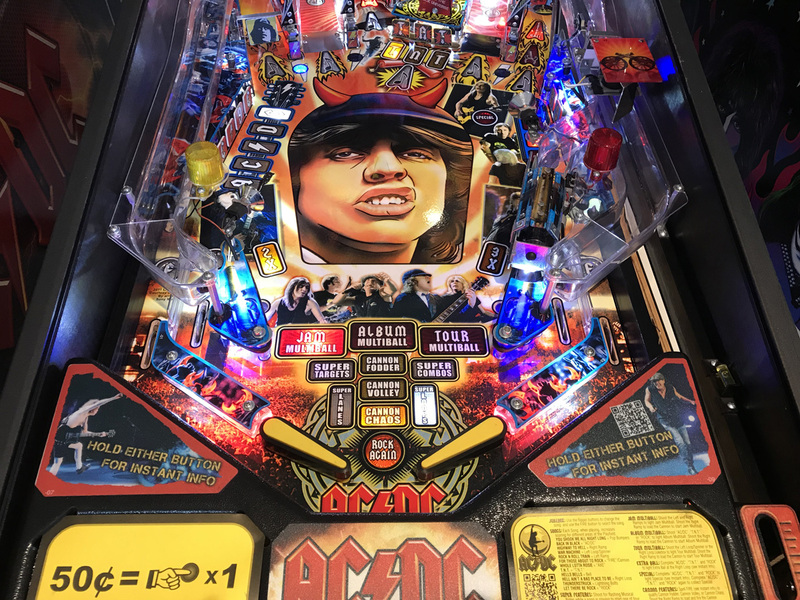 AC/DC (Pro) Pinball Machine * | Fun! 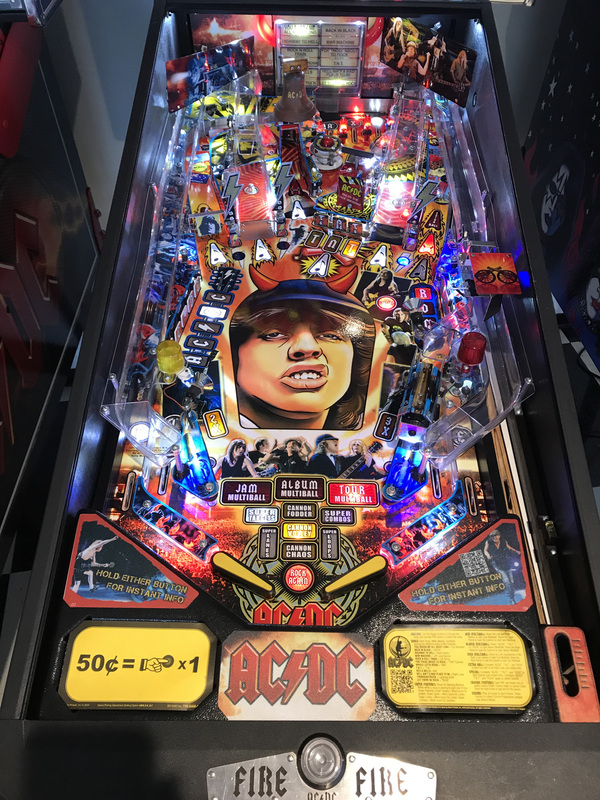 The game features 12 classic AC/DC hits including “Back in Black,” “Highway to Hell” and “You Shook Me All Night Long.” Other exciting game features include two separate ramps, a lower playfield, a ball-shooting cannon, eight drop targets, a Hell’s Bell and animations of the AC/DC band. 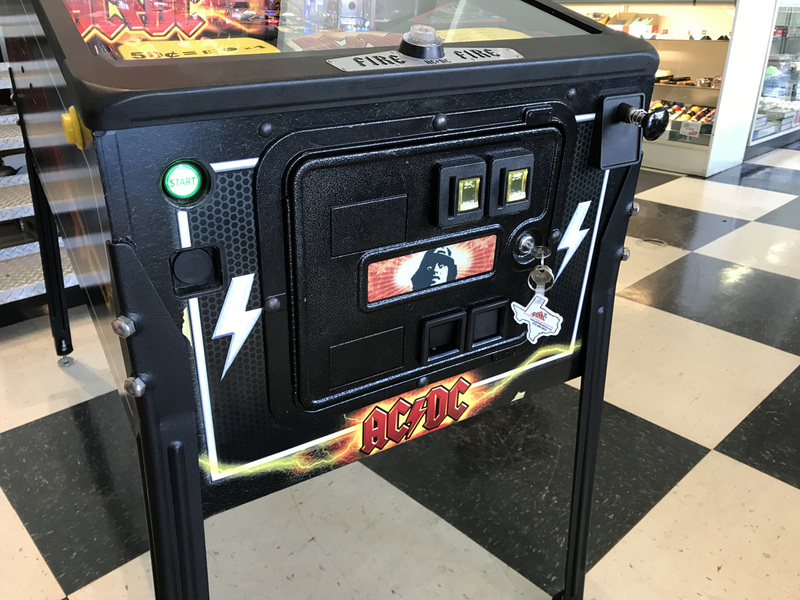 Players can also join the party with a TNT detonator and the Devil’s Jukebox. This tribute to one of rock and roll’s most memorable bands pushes the auditory limits with its sound, style and infectious riffs. 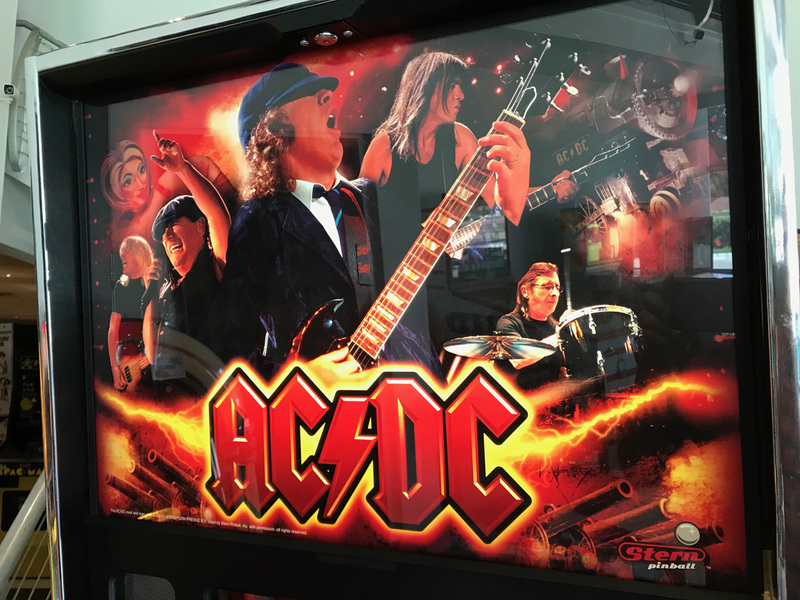 The AC/DC machine is designed to rock. 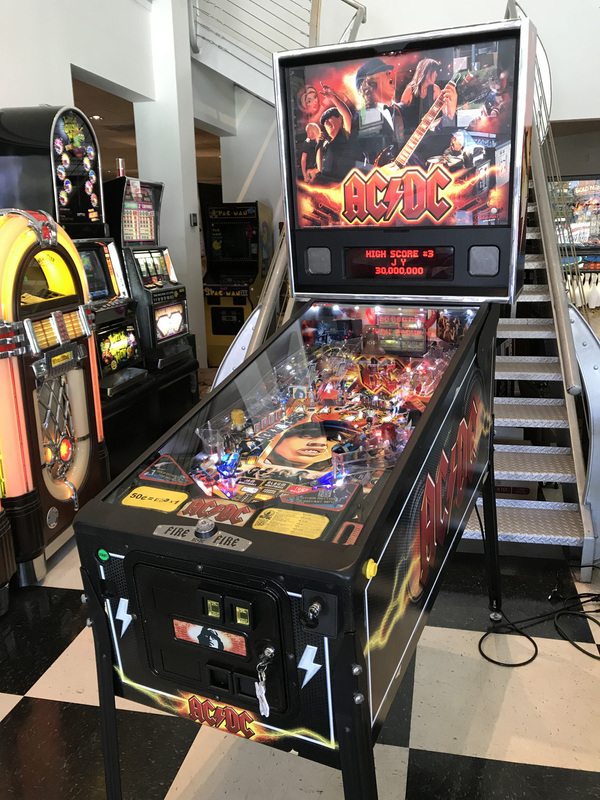 This game is pre-owned and is in very nice condition. 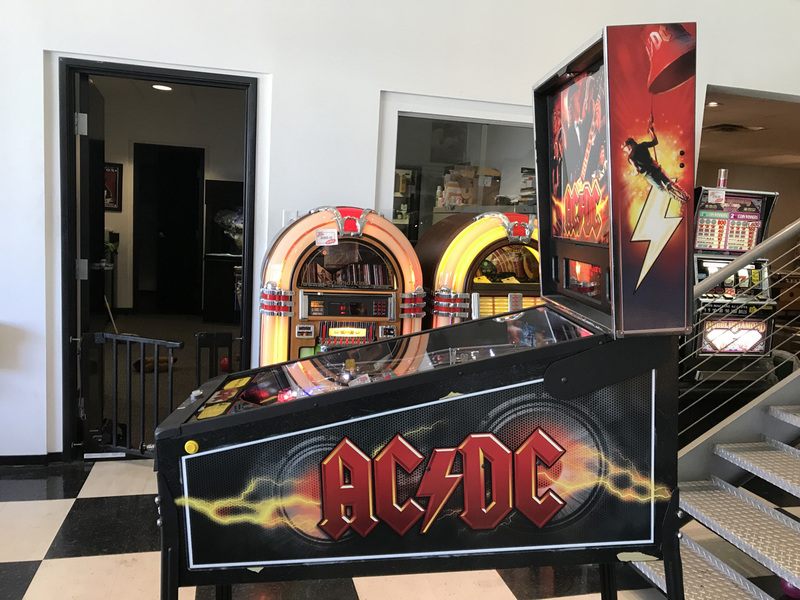 It has just went through our detailed reconditioning process which includes tearing down the entire top side of the playfield. Cleaning and polishing the playing surface and all plastics and ramps. 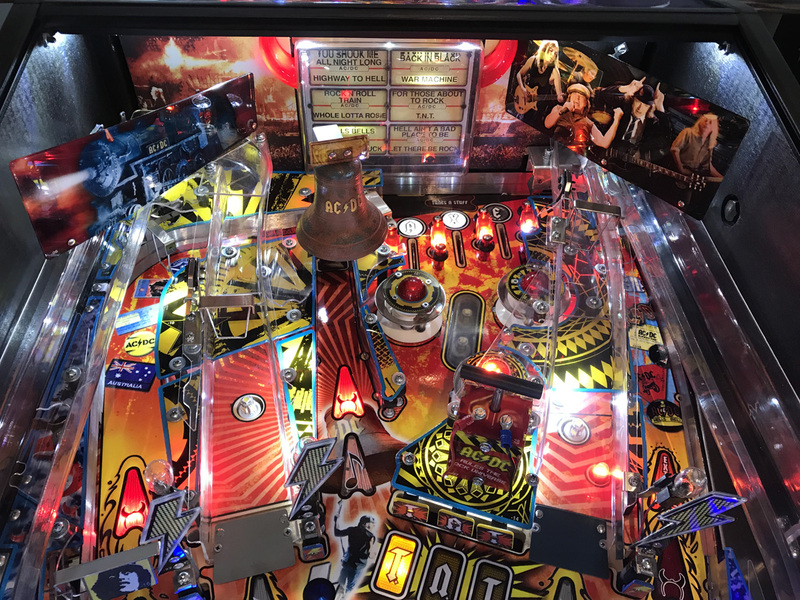 New rubber rings and balls installed and replacing any non-functioning LED bulbs. Underside of playfield lamp inserts and mechs have also been cleaned. 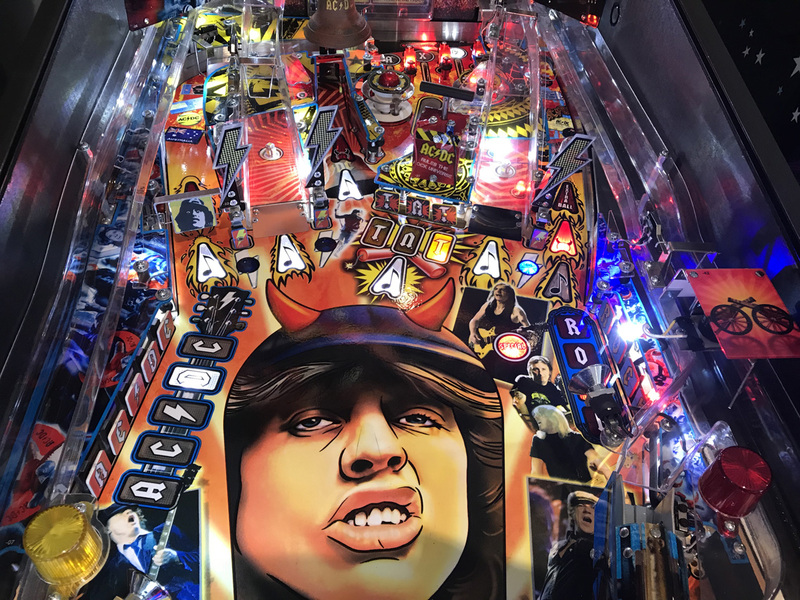 After the game was detailed our lead technician with over 20 years experience repairing and bulletproofing pinball machines goes through the unit with a fine tooth comb dialing in and repairing, adjusting any switch, bulb or assembly that needs attention. 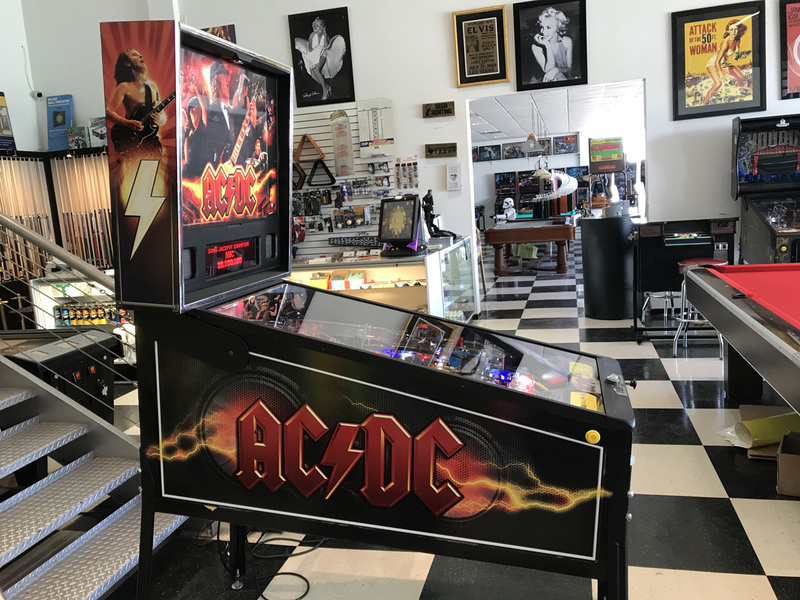 This AC/DC Pro Pinball Machine plays and looks great and is ready for it’s new owner.